EA has finally revealed the release date and more details of Madden 19. The new NFL game will arrive on 10 August, EA Sports has announced. And it will come with a whole host of new features and updates. “Unless you’re a Philadelphia Eagles fan, you ended the last NFL season saying, ‘There’s always next year’,” EA Sports wrote in their announcement. 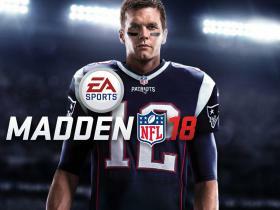 Madden 19 will bring new features including updated player animations, and advances to game modes including Connected Franchise and Madden Ultimate Team. As ever, it will also bring updated teams and players, ready for the new season. Both the normal and Hall of Fame editions of the game – which includes Ultimate Team packs but is a little more expensive – will arrive on the August launch date. They can be pre-ordered now.